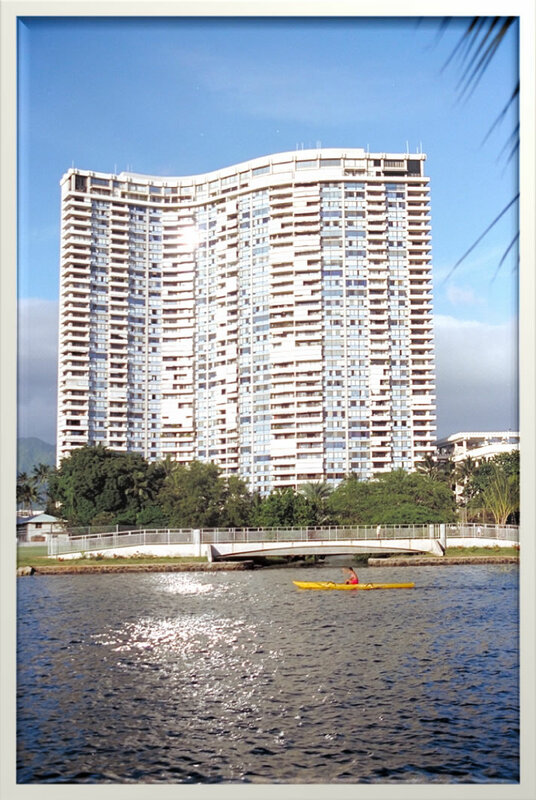 Built on approximately 5 acres of land on the McCully tract, the construction of the Marco Polo began in November of 1969 and was completed two y ears later. There are 568 apartment units, one manager’s residence and 4 commercial units. The property consists of a seven story parking garage and a 36-story main tower. The main tower has 4 passenger elevators and one freight elevator. The parking garage has one elevator that travels to the top of the structure where a recreation deck is located providing 6 barbeque grills, basketball, volleyball, tennis, paddle tennis, and a driving range for residents and their guest. A swimming pool is located in the garden area of the Oceanside of the building complete with men’s and women’s saunas and bathrooms. 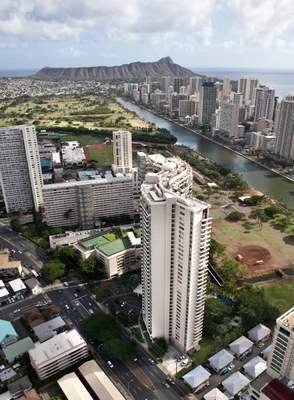 The vision of the Marco Polo is to be the model condominium association in Hawaii by exercising critical thinking for the implementation of long and short term projects that benefit all stakeholders. The Marco Polo on-site staff works to maintain the common element of the Marco Polo with respect and professionalism to all residents with the intent of nurturing a thriving community that promotes goodwill along with a healthy and safe environment. The Marco Polo has its own small but fully stocked market located at the Ewa end of the lobby (in the direction of downtown Honolulu), it is open seven days a week from 8:00 a.m. to 11:30 a.m. The store stocks now offering: Homemade Bentos, Sandwiches, Groceries, Cleaning supplies, Toiletries, newspapers, etc. There is also an ATM machine. They accept payments by Visa or MasterCard. (Phone: 808-947-6588).